I listened to Trevor Noah's Born a Crime on audio, a good choice since he actually does the reading himself. I didn't know much about Noah, since I'm not much of a talk show viewer. Okay, since I'm not much of a television viewer. The book, though, was a selection this fall by my book club. Even though I wasn't able to make the discussion, I read it anyway. I'm still thinking about the book. He takes on some serious topics with just the right dash of humor. I'll admit that I fell in love with hi mother, despite some of her poor choices that affected her children as much as they did her. So much of what Noah shares should be common sense--if anyone was interested in common sense. He challenges the "Give a man a fish, he'll eat for a day. Teach a man to fish and he'll eat for a lifetime," pointing out that someone may just need to give the man a fishing pole! 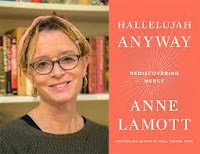 I knew I had some drive time ahead, so I also picked up Anne Lamott's latest book Hallelujah Anyway on CD, even though I have a print copy too. I'm glad I do because I plan to go back and re-read just so I can write down some of her memorable lines. In the book, Lamott begins with the verse from the prophet Micah in which he tells us what God requires: to act justly, to love mercy, and to walk humbly with the Lord. Her focus in the book is mercy, not only mercy from God but that we bestow on others--and ourselves. She is such an unconventional writer, living out her Christianity in unexpected ways. Her revelation about her fight against her own alcohol dependency resound with honesty. I have used parts of her classic writing text Bird by Bird in comp classes and in my own writing. She can take something intangible and share practical steps to take, usually advice she's gleaned from others-especially counselors. I was so moved by her memories of her father's failure to respond to another man's disparagement of her hair when she was four, a encounter that shaped her self awareness. Eventually, she was advised to invite someone she considered a comforter and someone who represented strength into that memory to confront both men and to change the effect on her. It may seen a little "woo woo" but I like to think I have a battalion of supportive people who could do the same for me if I had similar bad memories that wouldn't leave. I'm already back into fiction now (with a small dose of Car Talk stories from Click and Clack from NPR), but I'm glad I've added a dose of nonfiction to my reading brain. When I read some books, I can't put them down. Each chapter, I'm thinking, "Well, maybe one more. . . ." Other books I have to savor slowly--dark books that haunt me if I overload the images, dense books that require concentration, retention. Sometimes I have to stop while reading a particularly engrossing book to call or write someone else who needs to read it too. Right now. But some books make me want to write. I can't finish even a short chapter without digging out my little notebook to write down the scrap I recalled in response to what I'm reading or opening my laptop and laying down a few lines. 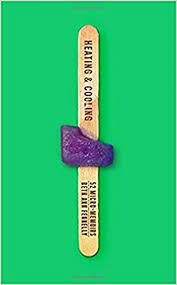 I'm in the middle of at least two books right now--on on CD, another for book club on the iPad, but after hearing Beth Ann Fennelly reading from Heating and Cooling: 52 Micro-Memoirs at the Southern Festival of Books this past weekend, I had to dive right in. After finishing her book project The Tilted World with husband-novelist Tom Franklin, she found herself unable to write poetry but filling her notebook with fragments. She sifted through and published the pearls, the ones she said she kept thinking of later. Some are only a sentence or two; the longest may be four pages. They pack a wallop. But as I read them, I keep having my own little micro-memoirs surfacing, tiny but meaningful experiences, family stories, overheard or stolen bits and pieces. Fennelly has a doctor story; I have a doctor story. She has a neighbor raising chickens; my mother started raising chickens in her late seventies. Meanwhile, I drift over to Facebook where more and more of the women I know are posting two single words: Me too. And I know that what silences, what saves us is our shared histories, as different as we might be. Since today is Friday the 13th, I have had to reexamine my own light case of superstition. If I really were concerned about this day's reputation for bad luck, I should be comforted by the number of four-leaf clovers crumbling in books throughout my house. 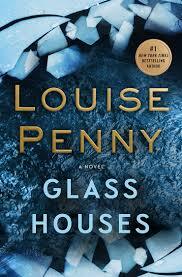 I thought it a funny coincidence, though, that on the 13th, I finished reading Glass Houses, the thirteenth in Louse Penny's Three Pines series. I do count it a stroke of luck that I started her books with Still Life a few years ago. I'll admit that I had a preconceived idea about what to expect --a little light reading, a beach book. In fact, listening to the author interview at the end of the audiobook, I heard Penny describe readers telling her they thought she was ready now for literary fiction, as if what she writes isn't quite serious enough. I beg to differ. I admit that I don't generally seek out mysteries, and I am reluctant to engage in a series--even one with just three of four books--because I don't want to overcommit. When I read these books, though, I feel intellectually stimulated, my senses are fully engaged, and yet, I also feel as if I am re-visiting characters I know well. The complex relationships between the characters are so insightful, delightful. Of course, I love Inspector Gamache, who has accepted the position of Chief Superintendent of the Surety du Quebec, but I also love his wife Reine-Marie. I honestly believe Jean Guy Beauvoir, Gamache's son-in-law and second in command, may be the character I find most intriguing. He's such a foil character to his patron, and he's so complex and multi-dimensional. When he went through a dark period in one of the earlier novels, I felt almost physically ill. In this book, the narrative opens with Gamache testifying in a murder trial during a heat wave. The defendant remains unnamed for much of the story, as the back story develops. Among the usual villagers, Clara and Myrna, the poet Ruth and her pet duck Rosa, new characters have come to town. Four old college friends have returned for a reunion. Two new employees--a baker and a dishwasher--have come to the bistro and the boulangerie. Once the body is found, everyone comes under suspicion. In this story, though, the murder is almost secondary. First Penny introduces an oddly dressed stranger dressed as a cobrador, explained as a "debt collector" from Spanish lore. Woven into the story, though, is Gamache's challenge with the growing drug trade, particular heated this close to the United States border. Some of the characters who have always stood for justice and right have to test that standard against what Ghandi referred to as the higher court: conscience. Once again, Penny has kept me on edge and has left with with hope as Gamache ends the tale, whispering words of kindness to one of his own team, whom he regards as family. I am also left with hope that Penny keeps writer. I dread waiting a year for the next installment. No one who knows me is surprised to see how worked up I get when a book festival comes to town. 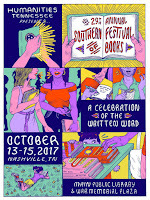 One bonus of living in Nashville, then, is the 29th Annual Southern Festival of Books, which kicked off today in downtown Nashville with sessions in the lovely Nashville Public Library and all kinds of vendors with books and book-related merchandise on the plaza, along with tents set up for book signings and for musical artists. I plot my way through a book event in a method similar to my old junior high reading habits, when I would find one another and then read everything I could find that he or she wrote. I might not be able to judge a book by its cover, but by its author, more likely. So when I arrived today, I went to hear Jennifer Egan reading from her new book Manhattan Beach because I had loved her book A Visit with the Goon Squad, and I heard Beth Ann Fennelly discussing and reading from Heating and Cooling: 52 Micro-Memoirs because I liked Tilted World, the novel she wrote with her husband novelist Tom Franklin. 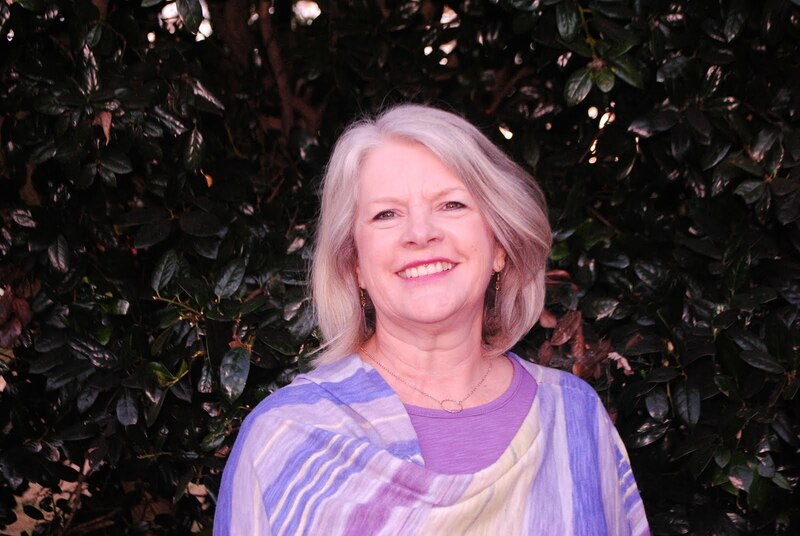 Denise Kiernan discussed The Last Castle, the story behind Asheville's Biltmore House; she had been our visit writer at Caldwell Community College's Writers Symposium discussing The Girls of Atomic City, so I knew I'd enjoy hearing her again. I wanted to hear Rodney Jones, whom I had seen first at University of North Alabama back when I was working on my master's. Tomorrow, my plan is similar: I want to hear Wiley Cash talk about his new book because I liked A Land More Kind Than Home and The Dark Road to Mercy--and because I had liked him when I'd heard him read or talk before. Likewise, I want to hear Gabrielle Zevin talking about Young Jane Young because I loved The Storied Life of AJ Fikry, but I may have to miss her to hear one of my all-time favorite writers, North Carolina's Ron Rash. Of course, I also want to hear Radney Foster and Peter Cooper, even though I've been lucky enough to hear them both discuss their newest books here in Nashville. I see Robert Olmsted is on a panel discussing Western Novels, and his Coal Black Horse was one of my favorites when I read it. Nicole Krauss' The History of Love was moving and haunting, so I am eager to find about her newest book. I can't wait until Sunday, when Clyde Egerton will be celebrating "Twenty-Five Years of Raney and Floatplane Notebooks. I have a shelf full of his books, well-read, often shared. Along the way, I'll run into my reading friends--people I know from teaching together or from book club or church, kindred spirits, and they'll tell me about a great session they've seen--that I missed. I had the pleasure this summer of working with a group of teenagers to help them start a writing group. Their writing goals and genres were varied but they shared the desire to write and they exhibited such mutual respect for one another. Now that they're back in school, I realize that some English, journalism, and creative writing teachers are going to feel so fortunate to have their spark in the classroom. This week I listened to Colum McCann's Letters to a Young Writer, a title he borrowed from Rilke . I'm a great fan of McCann's novels, Transatlantic and Let the Great World Spin, so I trusted that he would have something valuable to say. I was right. 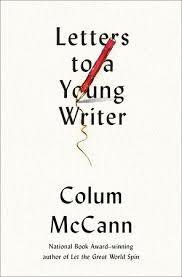 I also appreciated that he acknowledged that his "young writer" might, indeed, be any age. Since McCann read the audiobook himself, I got to enjoy his lovely lilt, but I hadn't made it far through the CDs before I realized that I probably need a copy for my own library shelves. Each chapter begins with a quotation from a great writer--living or dead. I wanted to write them down and stick them to my mirror or over my desk (if I had one) or on the dash of my car. The advice is practical enough that an individual writer or a writing group could spend time working chapter by chapter. McCann doesn't claim to have all the answers, but he dispenses wisdom in a straight-forward, sometimes self-deprecating way. He acknowledges that no one can TEACH you to write. He kept the book short, too, letting readers get back to the role of writers, following his strongest bit of advice: get your arse in the chair. 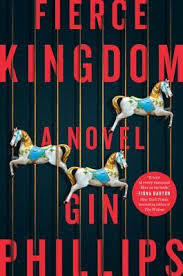 When Alabama author Gin Phillips' new novel Fierce Kingdom started popping up in all my favorite book publications, I took notice. I'd read her first novel The Well and the Mine and then found Come in and Cover Me an especially good reading experience. In that book, she has an archeologist, who made her reputation on a pottery find, called to the location where pieces evidently made by the same Native American artisan were found--far from the first. She manages to work in a little touch of supernatural without losing the reader. I realized, too, that both books stood alone as works of literature without being so obviously the work of one writer. This newest novel Fierce Kingdom carves out its own place as well. The story, set in a zoo in early fall, introduces Joan, a mother having an outing with her young son Lincoln. As closing time nears and they head toward the exit, she hears loud popping noises, then sees what she eventually recognizes as bodies--and shooters. She heads deeper in to zoo to hide and await the police. What follows is a suspenseful story, introducing other secondary character--including two teenage shooters and other zoo visitors trying to escape them. At the heart of the story is Joan's relationship with her son as she draws from all her resources, mental and physical to keep her son safe in the most harrowing of experiences. She faces some difficult ethical decisions along the way as well. Phillips' novel sets itself apart from other "airplane books" as the reader is privy to Joan's interior thoughts, the writing moving from straightforward to desperate. Small details, even the items in her purse, gain significance as the plot develops. At times I was reminded of Ron Koertge's novel-in-verse The Brimstone Journals, told in a multitude of voices at a high school, including a misfit like Ronny, the shooter that readers get to know best. Having spent much of my teaching career in the high school classroom, I recognize the vulnerability of some young people who are hungry to belong. One nice touch in this book, in fact, involves one of the potential victims, a retired teacher whose memory and people skills are called into play. Through the course of the book, I found myself as present in that zoo as if I had been there. The physical location of the action was so artistically drawn that I experienced the smells, the textures, the chill, even the pain of injuries. I think I'll be more circumspect the next time I visit the zoo. Just in time for all the documentaries on television commemorating the 20th anniversary of the death of Princess Diana, William Kuhn published a charming novel with Queen Elizabeth as one of an ensemble cast of characters. I had read Alan Bennet's An Uncommon Reader, which imagined the queen happening upon the bookmobile while walking her corgis, stepping in to look around and becoming an avid reader. 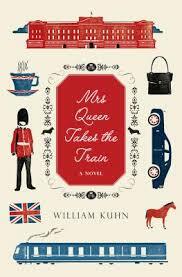 I was amused to learn that the Queen in Kuhn's novel was aware of that book too. In this particular story, the queen is wrestling with her place in Great Britain and the world. She's still stung by the reaction to her during the period following Diana's untimely death, and she even suspects she, like Diana, may be suffering from a touch of depression, the reality of which she was late to recognize during Charles and Di's marriage. 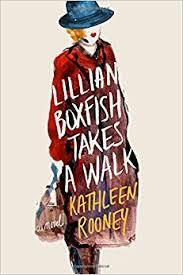 Kuhn interjects a number of quirky and interesting characters--her equerry and butler, her personal dresser and a lady-in-waiting, two women on whom she depends but who have no relationship themselves. He also includes Rajiv, a young Pakistani clerk at the local cheese shop and Rebecca, the girl who works at the Royal Mews. When the Queen learns that Parliament is considering defunding the royal train, after already placing her yacht in dry dock, she goes gets a hankering to visit the yacht and strikes out with her handbag, but wearing a hoodie lent to her by Rebecca when the queen appeared in the stables not dressed for the weather. The self-deprecating humor of the monarch as she wrestles with her own obsolescence is particularly charming. When she finds herself seated with a blind man, his almost blind wife, the guide dog, and a pierced and tattooed young man, they note her striking resemblance to Helen Mirren, but afford her the opportunity to spend a day in the midst of her subjects without threat. Kuhn avoids being either over-sentimental or judgmental toward the Queen; instead, he shows her vulnerable human side. She finds herself caught with an audience of a performance of Shakespeare's Henry V, which she has learned from Rajiv only during this short time to appreciate. When the play is interrupted with the announcement of a nearby terrorist attempt, she gets the chance to follow her own mother's royal example, choose an appearance among the injured over her own safety. The chapter titles, all yoga positions, point to the Queen's own yoga practice, an image that amuses, just as it also humanizes the octogenarian. I loved all the characters so much I hated for the story to end. Labels: Alan Bennett, An Uncommon Reader, Books, Mrs. Queen Takes the Train, Queen Elizabeth II, reading, William Kuhn, yoga. I discovered Graeme Simsion when his first novel The Rosie Project was first published. I remember sitting in many a parking lot, listening to the audiobook, reluctant to turn it off and go inside. The book made me laugh out loud, as did its sequel, The Rosie Effect. 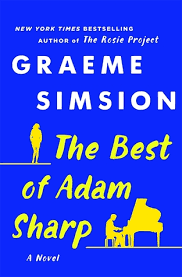 With this newest book The Best of Adam Sharp, Simsion has made quite a departure from his first two novels. The title character is an IT consultant working part-time while caring for his ailing mother, watching his twenty-two year relationship with his partner Claire deteriorate. He spends a couple of nights a week playing bar trivia, for which he serves as music expert. He discovers she is Angelina Brown, star of an Australia cop show, and they end up having a brief love affair before he leaves the country. She's never far from his mind, though. Music is particularly evocative throughout the novel. It is just as he's approaching fifty and feeling unsettled that Angelina sends a few short test emails, resulting in an invitation to spend a week with Angelina--and her husband Charlie--during their vacation in France. Charlie, a foodie and wine connoisseur, is unusually tolerant of Adam's presence, and some of what occurs is not for the squeamish. Adam's dilemma at this juncture keeps readers painfully on edge, but the musical threads woven throughout this entire novel are enough to inspire a playlist. In fact, bar trivia buffs may find themselves honing their skills--at least for the music category--before the book's end. 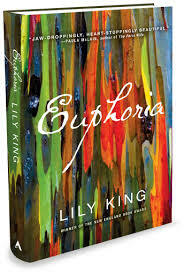 When I first saw the title of the book Euphoria by Lily King on our bookclub reading list, I'll confess that I was expecting some kind of steamy romance. Instead, I found myself drawn into a fascinating story--and a love triangle--featuring a husband and wife team of anthropologists relocating to a new tribe in New Guinea after an unsettling time in another location. They encounter Bankston, a British anthropologist, who helps them locate a new place from which to work, down river from his base, promising to visit them soon. For different reasons of their own, Nell and husband Fen are eager for his return, and disappointed that he waits so long. The narration moves between Nell's perspective and that of Bankston. Setting up housekeeping with more than the usual trappings one would expect in such private environs, Nell works feverishly, while Fen seems not to be taking notes at all. Fen's jealousy that Nell has already published and has been recognized for her work is apparent. In a society in which the women seem to be dominant, Nell eventually is brought into their circle of trust. Some of the customs, particularly treatment of babies, are disturbing. The tribe also follows the custom of cutting off their own fingers at times of grief. The novel, while taking great license, is based loosely on the life of the famous anthropologist Margaret Mead, and readers are likely to be interested enough to dig deeper into her story. However, the novel stands on its own as a fascinating, well-told tale. I've read lots this summer but posted far too rarely, something I plan to remedy starting now. The story moves back and forth between Lillian's daring, independent young adulthood and New Year's Eve 1984 as she strikes out alone through New York City. In her early adulthood, she challenged expectations for woman to marry and have a family, choosing instead to work, writing and publishing poetry, and generally having a good time. In the chapters featuring Lillian, still spunky as an old lady, she reminisces about Max, the man who won her heart, marrying her, fathered a son, and then divorced her. Never maudlin, often charming, the story presents one woman's life in a world that changes drastically. She keeps her pride, while touching the lives of strangers, often becoming the recipient of simple kindnesses along the way. I"ve had more time for reading that posting, it seems, this summer--with family weddings, graduations, bridal showers, and birthdays. 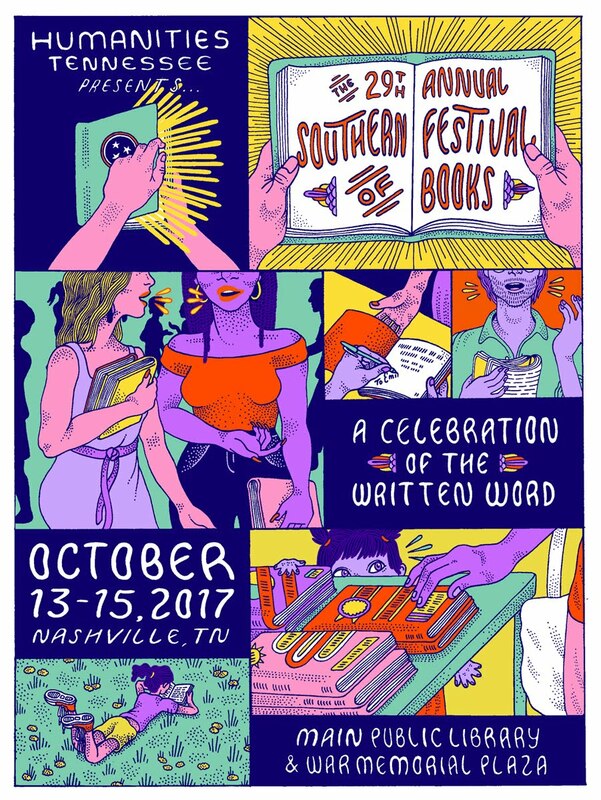 I've managed to read several that appear on some of the Best-Seller lists, particularly when the authors make appearances in Nashville. David Sedaris' Theft by Finding is on my nightstand ready for me to pick it up. His appearance at Parnassus was so much fun--and it was my first time to see him live after tuning in to This American Life for years. 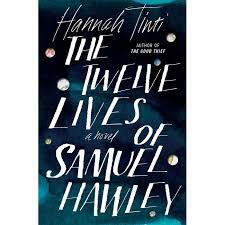 I had read Hannah Tinti's The Good Thief, but I hadn't heard about The Twelve Lives of Samuel Hawley until my friend Emily told me she's read it--one of her First Editions Club selections. The narrative moves back and forth between the life of Loo Hawley and her father, who is raising her after her mother's "drowning death." The narrative structure is built around flashbacks in which readers learn the story of Hawley's twelve bullet scars. Tinti skillfully keeps readers guessing, trying to recognize the fine line between truth, lies, and mind games. Although Hawley, Loo's father, gets title billing, in many ways, the story is Loo's. Named Louise at birth, she has moved from place to place with her dead, leaving each temporary home with short notice. They finally settle in her mother's hometown where Lou gains some protection from the principal, one of her mother's high school admirers, after suffering from bullying. She also finds a boyfriend in the son of a local woman going door to door trying to stop the over-fishing of the cod in the local waters, making an enemy of all the locals who derive their living from fishing. The telling keeps readers barely a step ahead of Loo in finding out the real back story of her father and her mother Lily. The author reveals the dark side of Hawley's criminal life and the difficulty of breaking free and living clean, even when solely responsible for a child. Even though the book has characteristics of a page turner, I found myself stopping to mark passages I found especially insightful, and I kept thinking that even though Loo's life seems hard to believe, many young people live with the fallout of their parents' prior choices. I found Loo one of the most sympathetic engaging young characters I've met in awhile. Another "best-seller" recommendation, Noah Hawley's Before the Fall also kept me whipping through pages to unlock the mystery inside. No spoiler alert here--all of this is revealed in the opening pages--the book opens with the crash of a small private plane, eighteen minutes into a flight from Martha's Vineyard. Of the eleven people on board, including the crew, only two survive, through the heroics of an unsuccessful artist invited to join the flight when he encountered the owner's wife at the island's farmer's market. Because two of the passengers were high profile individuals, network news goes crazy, speculating on what really caused the plane to crash--and why this unknown artist was on board. Hawley moves back and forth between the aftermath of the plane crash and flashbacks into the lives of everyone on board, exploring the possible answers to the mystery of the crash. Readers will sympathize with Scott, the painter, who just wants to maintain a low profile as his life is affected by the media circus following the crash. The focus is intensified since the plane's owner is a media mogul who owns one of the nation's more conservative TV news networks. Just as sympathetic, though, is the surviving four-year-old boy whose life is turned upside down, leaving him as his wealthy parents sole heir, plunked down into the home of his aunt and her unlikeable, greedy husband. 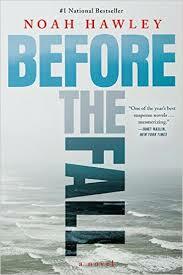 Hawley handles the narrative structure to keep readers guessing the truth up until the end of the story. I'll be posting again soon, covering some recent nonfiction books and my re-reading of poetry collections by some of my favorite poets. 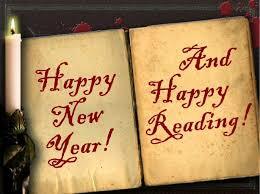 Until then, I'd love to know what you're reading too. There's no coincidence that the expression "Whatcha got cookin'?" is often metaphorical. In literature, as in life, the kitchen is where the action is. Two of my recent reading adventures have centered around the bigger world of cooking. First, I read Delicious! by Ruth Reichl, famous for her food writing. In this story, her main character Billie Breslin gets a job as executive assistant at a food magazine (Think Gourmet or Bon Appetit) whose offices are located in a gorgeous historic home. For reasons not quite clear at first, readers learn she has culinary talents but she's reluctant to use them. As she works to survive, taking a second job at a local family-owned delicatessen, she sees the owners pull the plug on the magazine production. In order to keep the magazine's long term promise to subscribers, Billie is left to answer the phone for a duration, responding to readers' questions--particularly those of one particularly disagreeable cook who fails to follow recipes then complains about failed results. 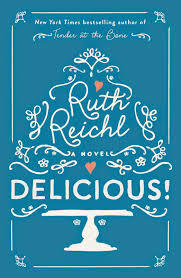 Reichl builds a second story line when Billie discovers in a secret compartment in the house a hidden stash of letters between a young girl Lulu and chef James Beard written throughout World War II. An unlikely romance develops between Billie and one of the deli customers (also cantankerous). She submits to a makeover (a plot device that's a little too soap opera for me). She also discovers underlying truths about her sister's tragic death and goes on a journey to solve the Lulu-Beard mystery as well. Billie's recipe for her mother's gingerbread, included in the volume, may be worth the price of the book. 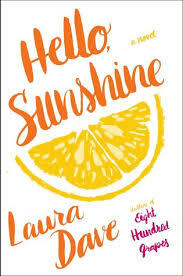 In another twist on the culinary world, Laura Dave's protagonist in Hello, Sunshine--whose parents really named her Sunshine--and her sister Rain--is an online sensation celebrity chef with fans, best-selling cookbooks, and a television show in the works until her online account is hacked and someone starts leaking the truth to her public: she isn't really the cook at all but a front for her producer's wife. The hacker isn't content to stop there, though, and spills the story of Sunshine's one-time indiscretion, costing her marriage as well as her career and sending her back to her childhood home where she must make peace with her sister and land a wait staff job with a demanding chef as she tries to regain her authentic identity. Both books weave food and family into a plot full of twists. While both are lightweight reads, they're not only entertaining, but they may send readers in to the kitchen to see what they might whip up. One of my biggest challenges in keeping up posts on what I'm reading is that sometimes the book I have just finished insists on jumping to the front of the line. I had a busy reading month in April, and I have several books I still plan to introduce here. 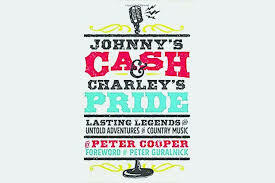 This week, though, I went to Parnassus Books to hear Peter Cooper read from his new book Johnny's Cash & Charley's Pride. Cooper was the music writer for the Tennessean for a long time, which gave him the opportunity to meet and interview so many legends of country music. He's also a singer-songwriter and, as I learned this week, he's quite a storyteller. Of course, the book covers the best known figures of country music--Johnny Cash, Hank Williams, Merle Haggard--but he also shares great stories about "Cowboy" Jack Clement, Don Light, Jimmy Martin, and even Ann Soyars, who took up money at the door of the Station Inn for years. Best of all, he gives a glimpse into the way the lives of the famous and not-yet-famous intertwined with those who were not famous at all. This is one of those rare books that sets the synapses jumping in my brain, reminding me of my own stories and of the music that's been playing since I was sixteen, maybe younger. After the book event, I started building a playlist, and as I read, it grew and grew--favorite songs, great music I hadn't discovered yet, some music I have in vinyl but not in any more updated format. I'm listening to Loretta Lynn and Waylon Jennings, Lee Ann Womack, and Irene Kelly, Chris Stapleton, and of course Kris Kristofferson. Now that I've sped through the book, I can't decide whether to share it with a friend first or to start back over and read through one more time. It's that much fun. 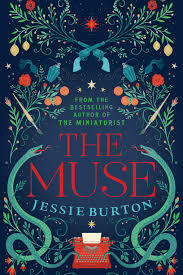 I don't have to have my literature with tidy endings, though I do love an author who can end a book in a way that satisfies, even when it surprises. Sometimes though, in literature as in life, the endings are more complicated. Two of my most recent reads have been almost unsettling in that way that keeps me thinking about them. Nevertheless, they bear almost no similarities otherwise. has told his employees he's on a week vacation. Suspecting the worst, she and Timby engage in a series of adventures across the city. Flashbacks and stream-of-consciousness inform readers of her career writing for a popular television series, her far-too-prolonged book deal, and her estrangement from her sister, the other "Flood Girl." At times, Semple shifts to husband's Joe's point-of-view as well. At story's end, after much "madcap adventure," she discovers (spoiler alert) that her husband--a former Catholic and avowed atheist--has become part of a Christian congregation after the team chaplain on the sidelines where he serves as orthopedist on call begins to help him address personal problems. While at book's end Eleanor and Timby seem eager to join Joe as he goes to seminary in Scotland, she doesn't seem to make any kind of peace with his conversion. In fact, she says he has gone from being the most interesting person she knows to the most boring. That seemed problematic at least to this reader. 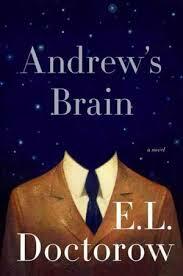 In Andrew's Brain, the last novel by the late E. L. Doctorow, the entire narrative is revealed as the title character engages in a dialogue with someone he refers to only as "Doc." Through these conversations, the details of his life are teased out: After his failed marriage to Martha, following the death of their only child, he ends up appearing on Martha's doorstep bereft, holding the infant child of his second wife Briony, his much younger former student, who has apparently died. (This is not a spoiler. That much is revealed early. The full story emerges only in bits and pieces.) While Andrew may not be a totally unreliable narrator, his tendency to withhold details, even entire incidents, until he feel the time is right, keeps readers guessing before he delivers one-two punches. I kept thinking of a favorite old Young Adult novel by Robert Cormier, I Am the Cheese, also a tricky little tale told in much the same fashion, but with an ending that sent me immediately back to chapter one. Andrew is complicated but engaging, and his observations about people in his life are intriguing. Everything about him, though, is revealed indirectly. (As Emily Dickinson suggests, "Tell the truth but tell it slant."). Both of these books kept me interested but left me a bit unsettled, thinking about them long after I came to the conclusion. Maybe that's not such a bad reading experience. Some books fall so clearly into the Young Adult category, and others are unquestionably adult novels. 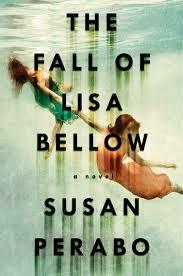 In her new novel The Fall of Lisa Bellow, Susan Perabo manages to reach both audiences with can best be called a family story--and a page turner at that. Her main character, Meredith Oliver, is an eighth grade girl whose older brother Evan lost the sight in one eye--and his baseball prospects--with one bad baseball pitch during batting practice. Their parents are doing their best to maintain normalcy, even insisting on keeping up their breakfast ritual of setting goals for the day. Meredith deals with typical middle school angst, finding herself and her two best friends in the middle tier of popularity comparing themselves to the popular girls, with the eighth grade queen bee Lisa Bellow. On the day of a math test, when Meredith stops by the local sandwich shop after school to reward herself with a root beer, Lisa Bellow is there too. A man enters wearing a face mask and a long hoodie to rob the store, and Meredith finds herself lying on the floor face to face with Lisa. The man's apparent split second decision to make Lisa leave with him sets Meredith's world on a tilt. Perabo balances Meredith's story with the perspective of her mother. Claire Oliver and Meredith's father Mark are dentists in practice together. Over the course of their marriage, Claire has confessed both large and small errors of judgment that Mark took more seriously than she expected him to do. Both of them, however, are baffled by how to treat their daughter who wasn't kidnapped, as she eventually returns to school with the awkward distinction of being the last person to see Lisa alive. Lisa Bellow's friends and her mother reach out to Meredith, and she moves into their inner circle, distancing herself from her two best friends, but she doesn't tell anyone that she imagines she can see what's going on in the apartment where Lisa is being kept. The story itself is gripping, and Perabo using some particularly clever narrative twists to keep readers guessing about what is real and what is imagination. She presents a believable depiction of middle school and of family life in the midst of trauma--in the case of the Olivers, the double trauma of Evan's injury and Meredith's close call and the aftermath. Perabo's characters are flawed, complex, but sympathetic. Readers can't help pitying Miss Bellow, Lisa's single mother, while still wanting Meredith to be safe from the pressure from outsiders as a result of the ordeal. Even with unanswered questions, Perabo leaves her audience--no matter what age--hoping for a family to be healed. Since I'm in two book clubs, I often read books from someone else's list. It's worth it to me to be part of a community of readers, even if my reading selections are not solely my own. In fact, I make some wonderful discoveries that way. 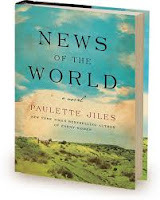 This week has been one of those serendipitous reading experiences as I read Paulette Jiles' newest novel News of the World. When I stopped in Parnassus to browse titles, one of my favorite bookstore employees Nathan told me that this had been the favorite of one of the publishing company representatives who had spent some time working with them in the store. Since most of my reading started late at night, I got off to a slow start with this one, but then suddenly Jiles had me hooked, and I found myself reading late into the night, knowing my alarm would be sounding at 5:30 a.m. The protagonist Captain Kidd is a Civil War veteran, now in his seventies, living in a quite uncivilized Texas, where the political division reminds me of--writes and encourages them to join him. Circumstances have also forced him to close his printing business, so he makes a paltry living going from small town to small town, renting a hall, and reading selections from newspapers around the world, charging a dime a listener. As the story opens, he's approached by a freighter who has a ten-year-old white girl who was kidnapped four years before by the Kiowa who killed her family. She's been ransomed, but the freighter, a black man, knows he can't risk traveling with the girl to her German aunt and uncle, so he convinces Kidd to return the girl. Jiles takes the reader along town after town as Kidd, whom the girl calls "Kep-dun" faces double challenges: finding a way to communicate with the girl he calls Johanna and avoiding the threat of Indians and outlaws along their route. The girl, who considers herself Kiowa, fights his attempts to civilize her, but the two warm to one another during their forced time together. Over the course of the narrative, Jiles develops these two characters and the mixed bag of good and bad folk they encounter without hokey tricks or stereotypes. The setting is described so clearly, I felt as though I had traveled all the way from Wichita Falls to the girl's first home. Even the author's notes at the end sent me turning back through the book, retracing my steps--and those of the "Kep-dun" and "Cho-henna"--back and forth across Texas. I have my book club to thank for the delightful journey. I have long been an unapologetic Young Adult fiction fan. When I taught high school, I found it helpful to know what my students might be interested in reading--and then to keep a good supply on the shelves in my classroom. To be honest, though, I mainly read them because I enjoy them. Laurie Halse Anderson's Speak, E. Lockhart's We Were Liars, lots of books by Robert Cormier, Paul Zindel, Paula Danziger crossed my field of vision, particularly since I heard them read at NCTE conferences over the years. 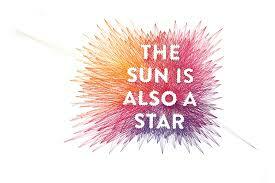 Nicola Yoon's new novel The Sun Is Also a Star caught my attention in time to take the audiobook on a recent road trip. Binge listening worked perfectly, since the book itself takes place, except for the epilogue, in less than a twenty-four-hour period. Yoon--or Fate--throws together two characters on a particular significant day. Natasha is a Jamaican immigrant in her high school senior year when her father's DUI brings the family's undocumented status to the attention of authorities, and they are going to be deported that evening. Natasha is determined to find some way to stop the deportation. Daniel is a first-generation Korean, the second son on his way to an admissions interview for Yale, which his parents consider the "second-best college." After living in the shadow of his older brother--who has recently had to leave Harvard, Daniel isn't so sure he wants to follow his parents' plan for his life to go to medical school. Daniel wants to be--is--a poet; Natasha, on the other hand, wants to pursue science, looking at everything from a pragmatic, logic-centered perspective. A series of coincidences bring them together as they collide on their way to their two destinations, Natasha to a lawyer purported to be the best at fighting Deportation, Daniel on his way to the interview--with the same man. They end up moving through New York City together, with stops at the Black Hair Products store run by Daniel's father and Natasha's apartment, where her family is packing to leave. Yoon weaves in chapters from other characters, giving the back story, for example, to the security guard at the Immigration office, the lawyer both are meeting, a taxi driver, and Natasha's father, a frustrated actor who feels his family responsibility has ruined his chances at his dream career. No lightweight romance, the story had me genuinely caring about the two protagonists and their families--and even the minor characters that cross their paths. Soon touches on all kinds of current topics with a light hand, rendering the characters three dimensional instead of stereotypes. One clever thread through the story is the article I had read earlier in the New York Times reporting research claiming people could fall in love by answering a series of questions and looking deeply into one another's eyes for four minutes. Whether the questions themselves made Natasha fall in love with Daniel or not, I found myself loving them both. It's not unusual for me to start encouraging others to read a book before I'm even finished reading it. Some books just seem perfect for my reading friends. 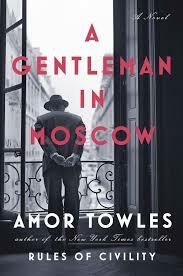 When I started Amor Towles' latest novel A Gentleman in Moscow, I felt that way--but even more so. I was ready to recommend it to my book club based on just a few chapters. I called my mother and told her to read it. Meanwhile, I kept reading, and I was not disappointed. This book is probably my favorite in awhile, which is particularly significant because it's not dark, disturbing, or esoteric. It's not one of those books that some people just won't get. The book opens during the Bolshevik Revolution as Count Alexander Rostov is called before a tribunal for the simple crime of being an aristocrat. Either despite or because of the measure of fame he's achieved through poetry, his judges decide that instead of putting him before a firing squad, they will sentence him to house arrest at Moscow's Metropol Hotel. The Count has already been living there for awhile, but he is moved out of his suite and forced to "downsize"--settling into a small attic room. Towels presents the details so clearly over the course of the tale, I imagine I've visited the Count's room. During the course of his stay--the novel covers at least thirty years--he encounters delightful characters among the guests and the staff of the hotel, some ambiguous, and some straight-out antagonists. He first meets Nina, a young girl staying with her family at the Metropol who asks him about "rules for princesses." He also befriends the wait staff at the finest restaurant in the hotel--and then joins them. Nashville novelist Ann Patchett has admitted that she just writes the same book over and over: a group of people, nothing alike, are thrown together. Towles has tales the formula and perfected it. Readers will hate "the Bishop," an inept waiter who, via the Peter Principle, manages to climb the management ladder at the Metropol. They will find delightful Anna Urbanova, the Soviet actress with her dubious back story, will fall in love with Sofia, whom the Count raises as his daughter, and they will be amused by the Russian who comes to Rostov to be tutored in languages and culture, but ends up Brando watching films, particularly Casablanca. From his limited point of view, Count Rostov has a window view on Moscow--and the world. His knowledge of food, wine, and music is eclipsed by his understanding of human nature. Towles has produced a multi-layer narrative that does much more than charm the reader. The author also gives just enough of Alexander's past, especially the story of his sister's death, to give even more insight into the man. For now, I anticipate happily the opportunity to discuss the book with others--and then to pick it up and read it one more time. The novel she ended up writing wasn't the story she expected to find on her travels, but she put together a beautiful, masterfully told story set on the Gold Coast of Africa that begins with two daughters of the same mother, each unaware of the other's existence. One is taken as the wife of a white slave trader, living in the castle on the coast under which captive tribes people are held until placed on ships for passage to America. The other becomes a slave. Rather than tell the full story of her characters, Gyasi gives just enough to make her characters real before moving to the next generations. She gives a picture of the tribal rivalry, spurred on by European slave traders. While history books sometimes imply the role African tribes play in the captivity of their rivals, the novel gives a clearer, fairer explanation of this complicated chapter in history. Gyasi brings the characters all the way up to modern times, even bringing together a couple who will never be aware of their connection, many generations removed. 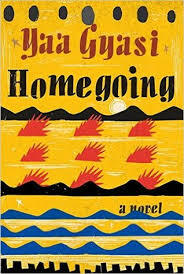 Much as Colton Whitehead managed to do in The Underground Railroad, Yaa Gyasi manages to put real faces on the characters set in this historical backdrop. Her characters are multi-dimensional, their flaws laid bare along with their virtues. In the end, readers close the pages of the book with a large cast of believable, sympathetic characters taking up residence in our long-term memory.